IMM Projects has brought Beston injection moulding machines to the UK market. There are 13 models in the European SYS Series, with clamping forces ranging from 600 to 13,500KN. 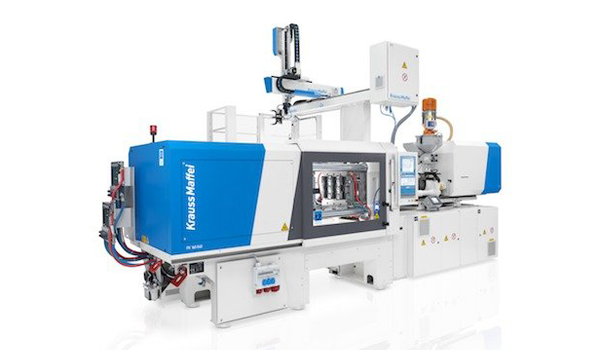 Mould heights range from 120mm to a maximum of 1,350mm and k1000 or 2000 KEBA interfaces which allow plastics manufacturer to set-up, manage product quality and process without difficulty. Due to the clamping system’s ‘V’ design, the machine decreases distortion of the mould platen, increasing the mould life by up to 30 per cent. The hybrid electro hydraulic system prevents temperature changes and the oil cooling system and durable clamping unit safeguards consistency and prevents deformities. The company says as the Beston’s linear guide rail has a more effective nozzle seal when compared to a guide post design, it is extremely safe under high pressure. “I have worked in the industry for twelve years and as an experienced service engineer, with knowledge of many brands, I was blown away by the simplicity of the set-up and maintenance for the user, especially when paired with the overall cost savings,” said Michael de Beer of IMM Project. OPINION: Are plastic alternatives a blessing or a curse?